Universally understood graphics for comprehension at a glance. Safety Alert triangle and headings indicates the presence of immediate or potentially hazardous situation. Meets new ANSI Z535 Guidelines for standardization. Caution Signs Notify Personnel And Others Of Requirements In Area And To Be Cautious Of Surroundings. Caution safety signs feature universally understood graphics for easy identification and comprehension at first glance. Safety alert triangle indicates presence of an immediate or potentially hazardous situation. 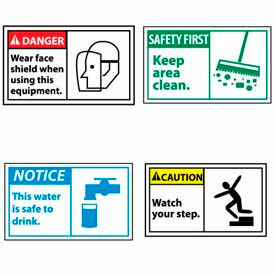 Safety signs meet the new ANSI Z535 guidelines for standardization. Choose between Pressure Sensitive Vinyl, .050 thick Rigid Plastic or .040 thick Aluminum. 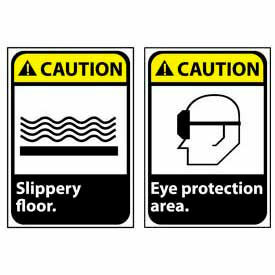 Most ANSI safety signs are available in 2 sizes: 14 x 10 or 10 x 7 . 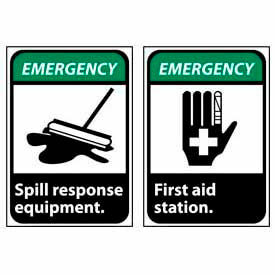 Ansi Emergency Signs Improve Safety In Workplace Or Commericial Environments. Ansi Emergency Signs are made of Aluminum, Rigid Plastic or Vinyl for long lasting durability and dependability. Easy-to-read safety signs have left justified text and initial capitalization for easier comprehension. Universally understood graphics provide understanding at a glance. Meet ANSI Z535 guidelines for standardization. 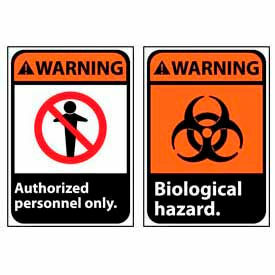 Available sizes are 10"W x 14"H and 7"W x 10"H.
Maintain A Safe, Secure Working Environment With ANSI Standardized Notice Signs. Universally understood graphics allow these signs to be understood at a glance. Left text alignment and initial capitalization allow for easy comprehension of message. Safety alert triangle indicates the presence of an immediate danger or potentially hazardous situation. in two sizes: 10 x 7 or 14 x 10 . 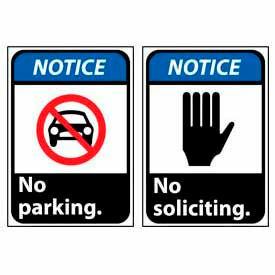 Signs are constructed of your choice of three materials: Pressure Sensitive Vinyl, .050 Rigid Plastic, or .040 thick Aluminum. Keep Employees Safe With ANSI Warning Signs. These easy-to-read signs feature left justified text for easier comprehension. Universally understood graphics provide understanding at first glance. 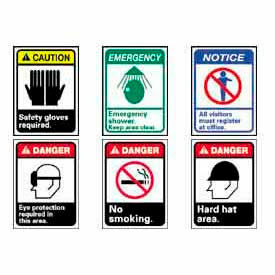 Safety signs meet new ANSI Z535 guidelines for standardization. ANSI signs are available in two sizes: 10 x 7 or 14 x 10 . 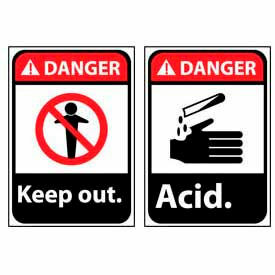 Warning signs are available in Pressure Sensitive Vinyl, .050 thick Rigid Plastic, or .040 thick Aluminum. Graphic Machine Labels Are Easily Understood By Everyone, Even From a Distance. These labels feature large graphics to convey warnings and other information even when the text of the sign cannot be read. Pressure sensitive vinyl adheres to almost any rough or smooth surface. Semi-gloss finish protects signs from dirt, dust and makes them easy to clean. Signs measure 3 x 5 ; sized specifically to fit on most equipment. Sold in packages of 5. 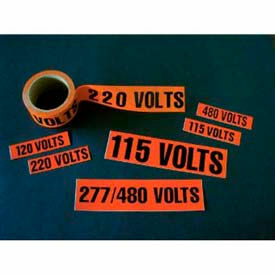 Voltage Markers Are Used For Clearly Identifying Voltage Designations..
Voltage Markers are made of Pressure Sensitive Vinyl material for long lasting durability and dependability. Designed to safely and clearly identify voltage designations. Orange with Black lettering. Markers for 120 Volts, 240 Volts, 480 Volts, 120/208 Volts, 277/480 Volts, or Three Phase. Measure 1-1/8 x 4-1/2 inches. Additional 480 Volt Markers measures 2-1/4 x 9 inches. Available in Company or Department worded versions.